Sunshine on a day when I’m going to be reviewing an afternoon tea might not sound important. 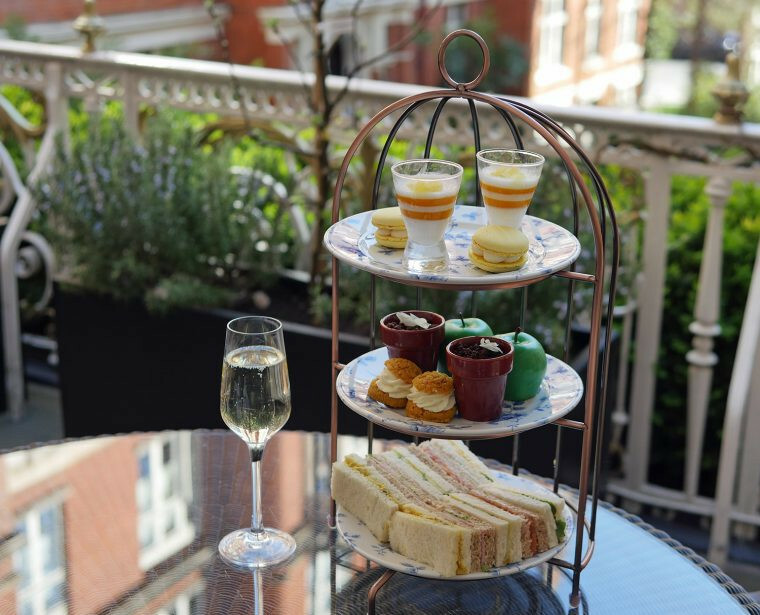 But, St Ermin’s Hotel, a stone’s throw from St James’s and not much further from Victoria, has a pretty first-floor terrace looking out over their courtyard garden, which is used during the summer months for afternoon teas and as a cocktail bar in the evening. 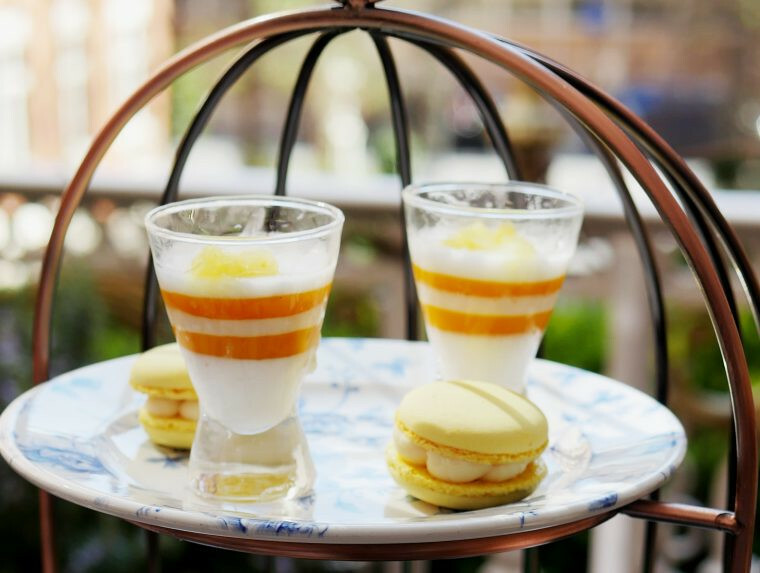 Perfect for a London al-fresco afternoon tea on those rare occasions when we get some sunshine! 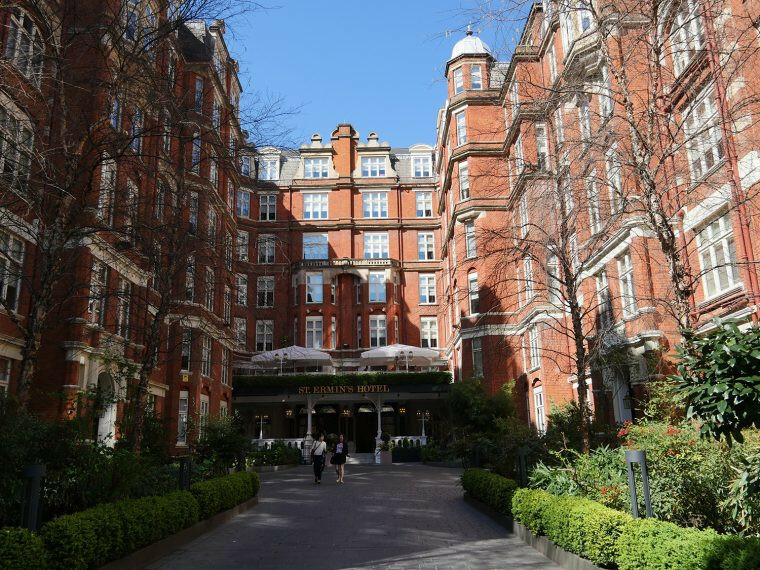 Of course, the main tea room at St Ermin’s is stunningly pretty – but on the first sunny day this year, we decided to sit outside on the terrace. This new afternoon tea replaces the honey tea I enjoyed a few months ago and promises to deliver an excellent seasonal range of dishes. 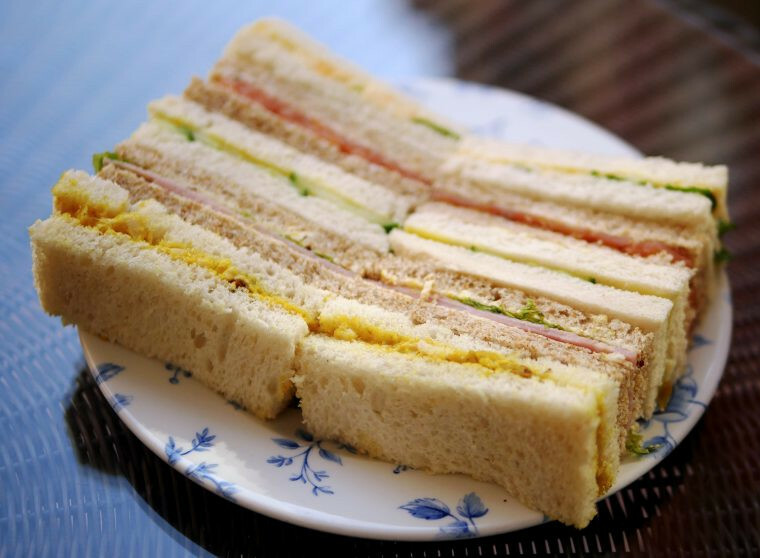 Classic sandwiches – free range egg mayonnaise with watercress, coronation chicken, honey roast ham with wholegrain mustard, Scottish smoked salmon with cream cheese and chive and of course a classic cucumber, were washed down with glasses of prosecco and teas from the St Ermin’s afternoon tea menu. My companion asked for a jasmine tea, which appeared rather strong to me, but my own choice of Earl Grey was perfect. The tea selection itself was brief but well structured with the option of classic teas, green teas and some tisanes (both herbal and fruit-based). Teas were served from pretty china pots but with large teabags which were tucked into the lid of the pots making for a slightly strange appearance. 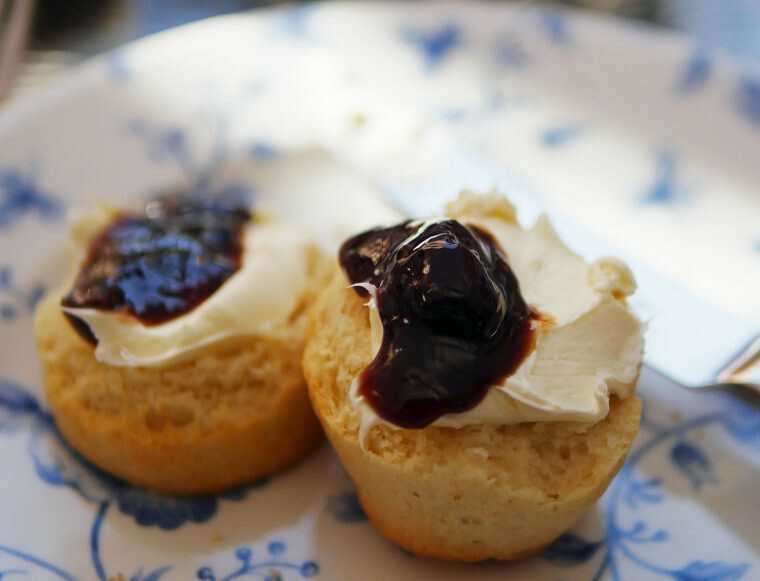 The fruit and plain scones were delicious, served with homemade berry jam and clotted cream and were clearly freshly baked, warm and fluffy. Teaspoons to serve the jam and cream might have been helpful and while I loved the berry jam I was surprised not to be offered a choice. When I asked, I was told that the berry jam was served routinely as it was the only homemade option but other varieties were available on request. Of the cakes and sweet dishes, my personal favourite was the St Ermin’s Macaron which was perfectly crisp on the outside with that slightly chewy centre that shows it has been made correctly. I also like the white chocolate and carrot choux bun, a tiny mouthful of deliciousness. The chocolate and salted caramel pot was a little too sweet for me but looked very pretty. 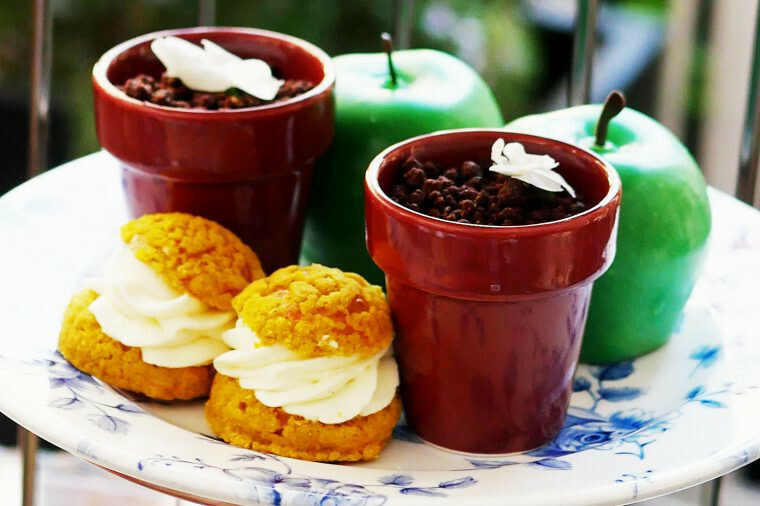 Apple and cinnamon mousse was made in the form of a green apple with chocolate stem and white chocolate ‘skin’ coloured to make it green, then filled with a white chocolate mousse and a cinnamon apple centre. Outside on a warm, late spring afternoon, it was hard to eat, though delicious. And, just a little too large to be dainty, especially since the underside was open and there was no foil dish to keep the mousse in place. Similarly, the mango jelly and coconut pannacotta didn’t seem completely set. I suspect given this was the first day of warm weather, these are teething issues that will be remedied quickly. 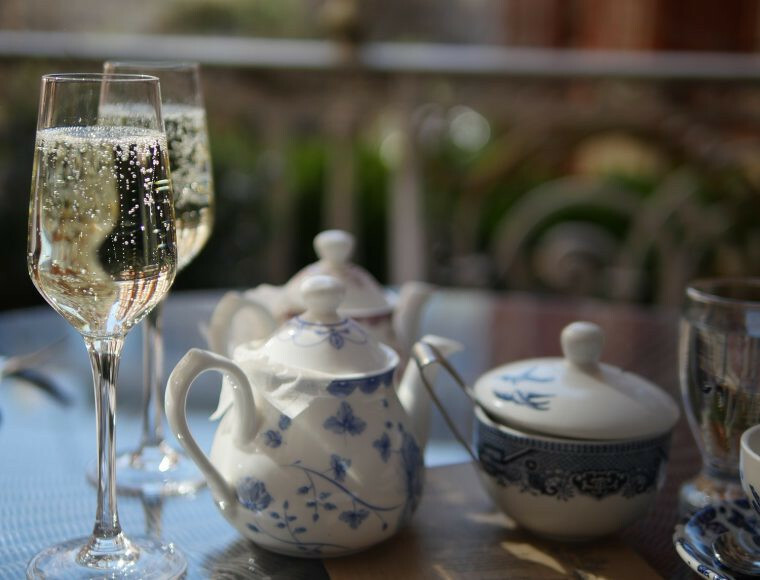 At £29 per person without alcohol or £35 with unlimited prosecco, this afternoon tea does still offer excellent value. 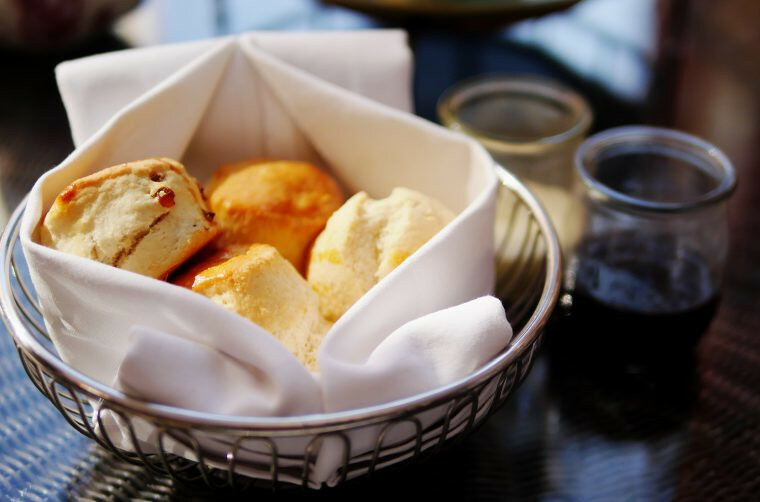 Afternoon teas in London hotels generally start at around £40 and some are upwards of £60, so to find somewhere so elegant where you can relax and enjoy a selection of sandwiches, scones and pastries for less than £30 is really quite special. 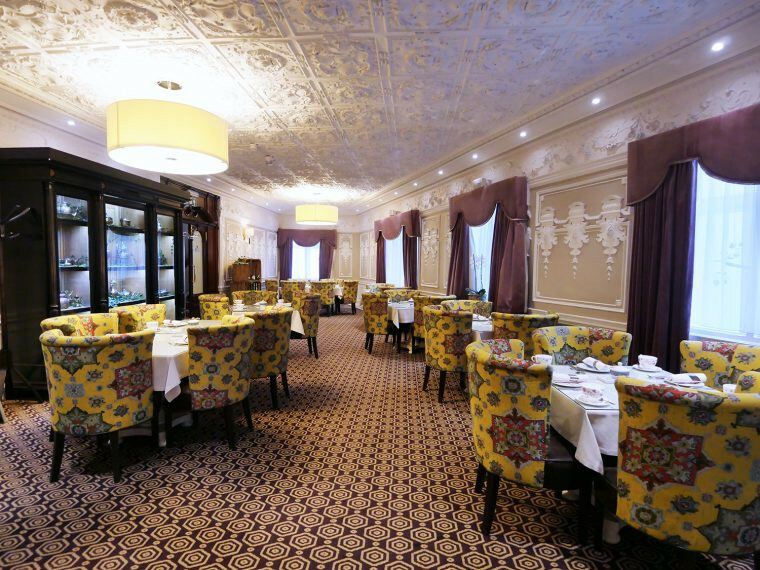 The tea room itself is stunning and comfortable, with nicely spaced tables and a charming updated-traditional feel to it. The terrace during the week suffered a bit on the day we were there thanks to building works in the area, but obviously, that’s a short-term issue and not something the hotel can control. By 4.00pm that had stopped and I suspect that it is quieter over the weekend too. Would I go back? definitely. I can’t think of anywhere else in London where you can enjoy a classic afternoon tea in such charming surroundings at that price point. 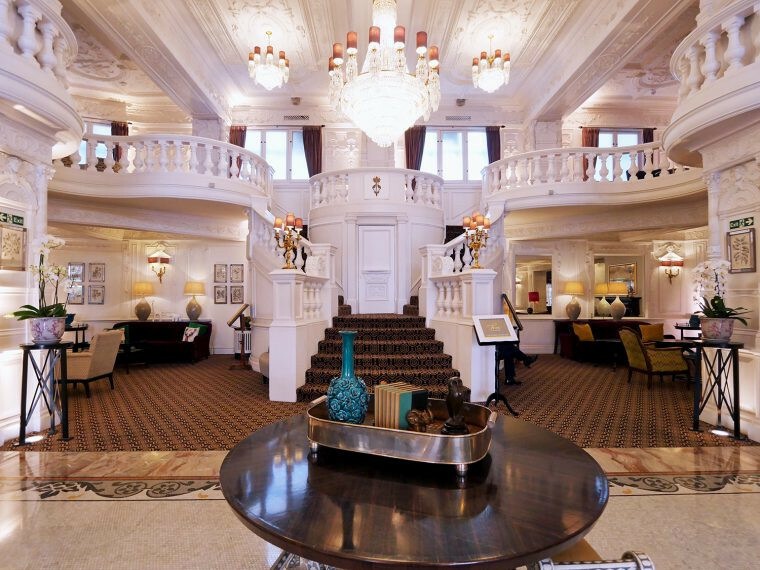 But, in any case, it’s worth visiting just to see the stunning lobby of St Ermin’s Hotel – one of the prettiest in town. How fabulous! I love how the apple looks! Very artistic. 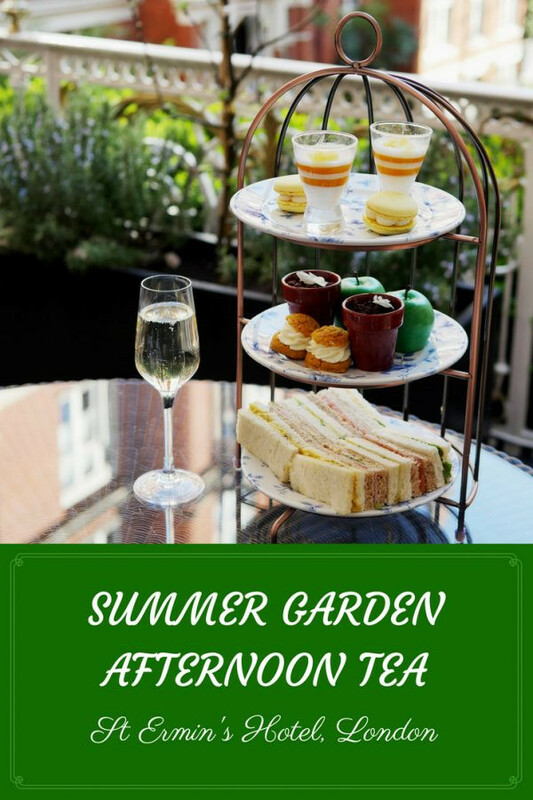 I’m always looking for cute afternoon teas!